The stakeholder wheel is a powerful and easy to use tool that can help nearly any organization understand its relationships and opportunities better. 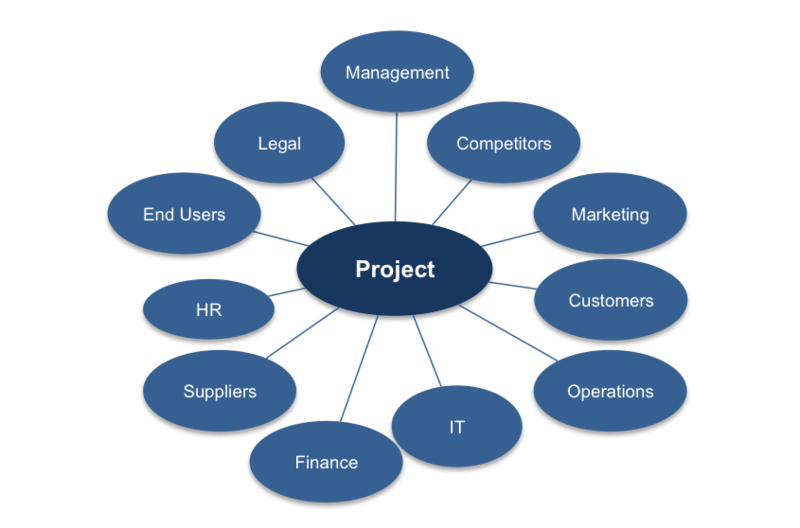 All organizations have stakeholders – that is, people or businesses with an interest in the operation. While the specific stakeholders will obviously vary from business to business, most organizations deal with the same general list of groups. Designing your own stakeholder wheel for your organization should be high on your priority list because it will help you make sure that the needs of all of the various interests are being served as successfully as possible. As you probably would have guessed, the design of the stakeholder wheel is quite simple – the stakeholders are listed around the outside (on the spokes of the wheel), with the common interest in the middle. For example, if you are making a wheel for your organization as a whole, you might put the name of the organization in the center and then surround it with those groups who have a particular interest in what you are doing. Or, you could make a wheel for a specific department or division of your organization and tailor it specifically to the stakeholders that exist in that case. Quite possibly, you will find that you wish to design a number of different wheels to help guide decision making throughout the business. 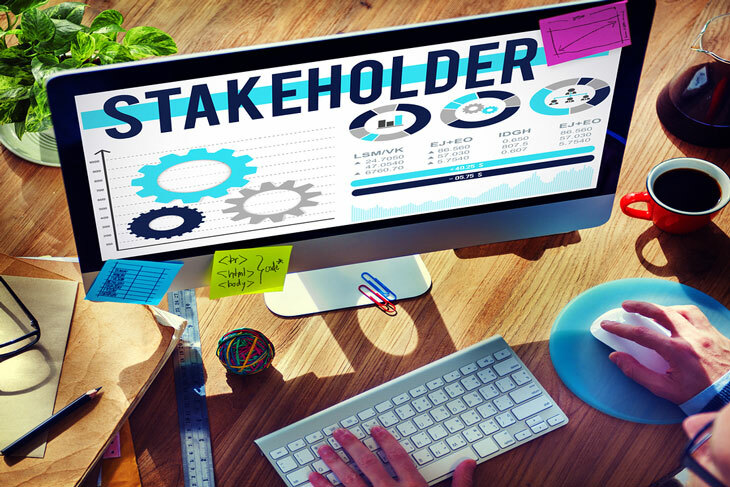 You aren’t going to be able to just download a copy of the stakeholder wheel and print one out for everyone in the business. Instead, this is something that will have to be designed in-house based on the specific stakeholders related to your organization. The good news is that this is unlikely to be nearly as much work as it might sound. Right of the top of your head, you can probably list several of the obvious stakeholders that you need to consider. In fact, most of the wheel can likely be filled in within a few minutes of starting the exercise. If you need help completing the task, however, just look to your financial statements. Most likely, anyone who would be considered a stakeholder is going to be represented in some form or fashion within your financial documents. To help you get started, please review the following categories which are some of the most common entries within a stakeholder wheel. Obviously, your employees are going to have a vested interest in the success of the business. They have spent time and effort trying to help the organization succeed, and their livelihood often depends on how well the company does as a whole. In addition to company success, they are also interested in personal accomplishments and achieving milestones that could help them to earn a promotion or get hired on elsewhere later down the road. In almost any business, employees are going to be one of the biggest groups of stakeholders that need to be considered. These are the people that you are serving with your product or service – or whatever it is that you happen to sell. Of course, if this group isn’t happy, then none of the rest of it matters for much. The customers of clients that you cater to should always be a top priority because they make everything else happen. Make sure their needs are met, and then work backwards from there. You might not traditionally think of your competition as a stakeholder, but they absolutely are. They are certainly interested in the success (or failure) of your organization because it directly impacts them and what they can do. Rather than trying to please or impress this stakeholder, you will be trying to defeat them by gaining a larger share of the market and offering products or prices that they are unable to match. Those who you rely on for supplies have an inherent interest in your business because when you succeed, you help them succeed in turn by continuing to place orders. With some suppliers, you can almost become like business partners in that you each want to do whatever you can to help the other succeed and rise above the competition. It is important to maintain good relationships with your suppliers so you can count on them for both fair terms and timely delivery. This one might feel a little abstract, but it is important none the less. You always want to stay on the good side of the law in any business matter, whether it be paying taxes, operating in an environmentally-friendly manner, or anything else that keeps you out of trouble. Running afoul of the law can put into jeopardy everything else that you have worked hard to accomplish – even if your legal problems don’t wipe out the business, the legal fees that you accrue could do serious damage to the bottom line. If you have creditors that help your business stay running on a regular basis, keeping them happy should be another top priority. Making sure that you live up to your end of the deal when it comes to making loan payments or fulfilling other obligations is important so you always have access to the resources you need. The last thing you want is to have a market opportunity waiting in front of you, but no capital with which to pursue it. A stakeholder wheel is a useful and simple tool that can help sort out who matters most to your organization, and what their interests might be. Once you have the basic outline of your wheel in place, you can add to it with more specific details regarding what the interests are of each group (and what level of priority you give them as well). You can’t make everyone happy all of the time, so make sure you are working toward goals that will satisfy your most important stakeholders first. Hopefully, when business is good and things are running smoothly, you can operate in a way that will keep everyone around the wheel satisfied and optimistic about the future. The stakeholder wheel helps to identify different groups of stakeholders. Stakeholders include groups like: employees, end-users, competition, suppliers and financial institutions. You can also include abstract entities like ‘the law’ in your analysis. A stakeholder wheel is a useful and simple tool that can help sort out who matters most to your organization, and what their interests might be.